Two pieces of stainless steel razor wire or zinc-coated razor wire were bounded together by clips to make it more strength. 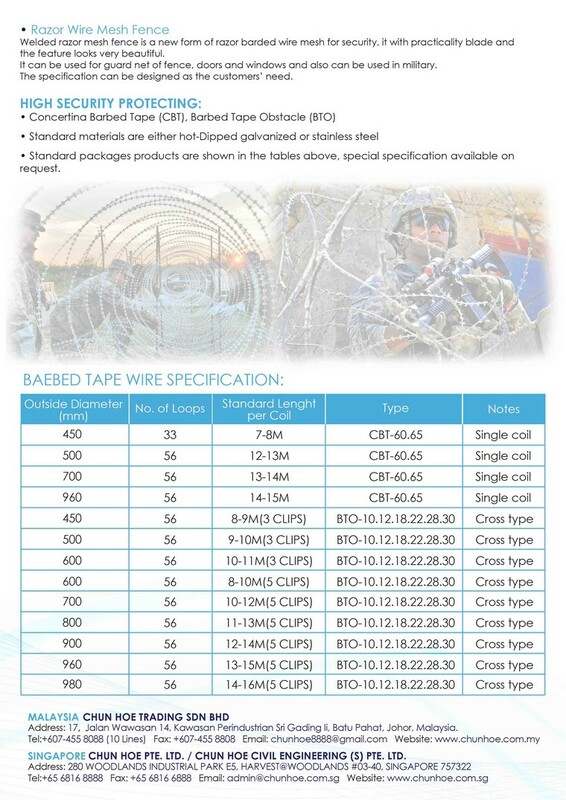 Single coil barbed tape wire is installed without clips, it runs in natural loops on walls. Costless and can be easily installed. There are many ways for straight type razor wire installing. 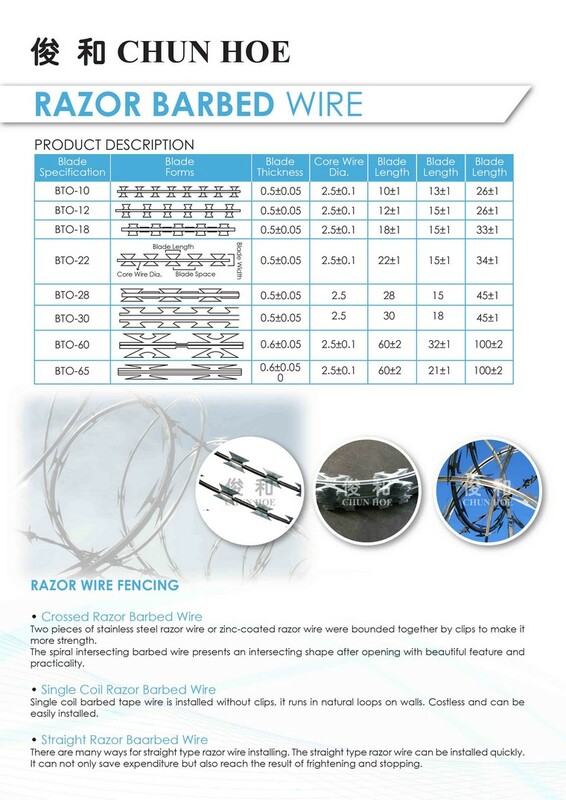 The straight type razor wire can be installed quickly. It can not only save expenditure but also reach the result of frightening and stopping. Welded razor mesh fence is a new form of razor barbed wire mesh for security, it with practicality blade and the feature looks very beautiful. It can be used for guard net of fence, doors and windows and also can be used in military. The specification can be designed as the customers' need. Standard packages products are shown in the tables above, special specification available on request.